You can create your own CSS theme using the online theme designer. 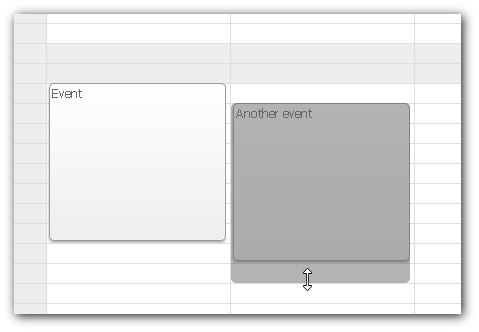 You can switch the event calendar to day view by setting viewType property to "Day". 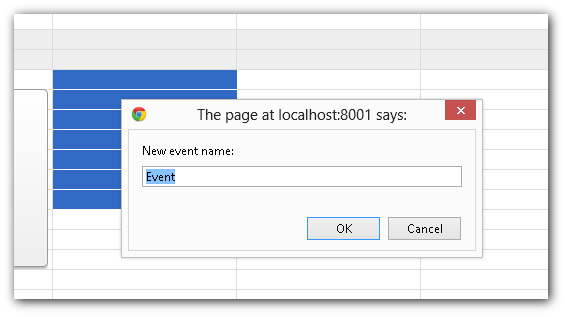 Drag and drop event moving is enabled by default. Weed need to add a custom handler that will save the changes in a database on the server side using PHP.